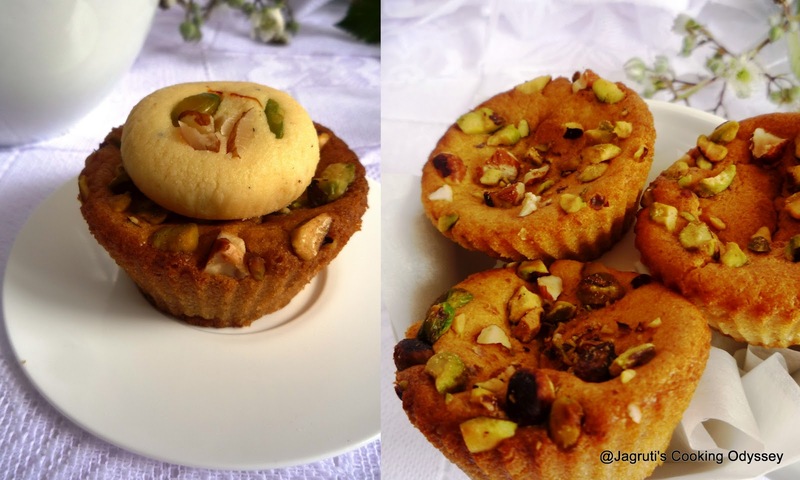 Jagruti's Cooking Odyssey: Father's Day Special - Eggless Mawa Peda Cup Cakes !! 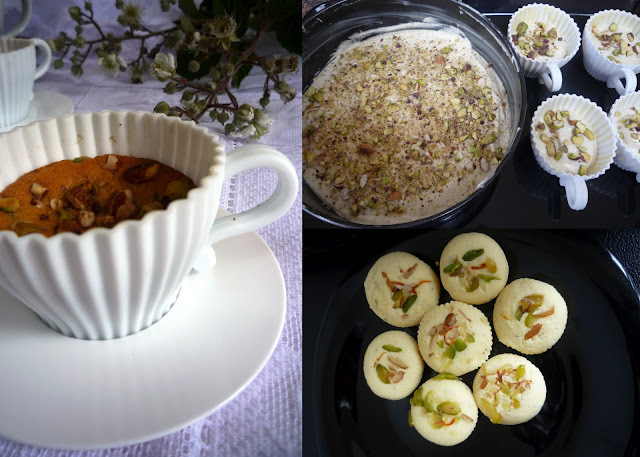 Father's Day Special - Eggless Mawa Peda Cup Cakes !! Happy Father's Day to every Dad in the world !! Wishing my dad and my kids' dad a very Happy Father's day...They both got so many things in common.. they both are related to me and my children and when they start talking on the phone about cricket they both forget their families :-D and the major fact is that dad loves to cook and hubby loves to eat ...hahaha !! My dad is a very good cook and one time in his early 20's he was a brilliant baker too..I wasn't born that time..also I've never learnt anything from HIM..sigh !!! After that he had an accident and he left that job and started his career in the film industry in Mumbai, the job he always loved :-) and when he would get back home he would bring Bombay Halwa, Ice Halwa and Mawa Cakes for us when he comes back for his break. From then onwards these 3 became my favourite sweets, so even whenever I go to India its the first thing I eat and then bring big packs back for my family..! Mostly every single day when I talk with my dad, our favourite subject becomes Food, and I still do ask for his guidance..and last week I asked him about Mawa Cakes, he told me all these memories about going to the one of the Irani shops in Mumbai and buying those cakes for us and he would talk to the owner about us that he can't wait to see us ..I know that :-)) and we couldn't either..as soon as we him see coming , we used to run to him ! OMG, while I am drafting this post the whole scene is replaying in front of my eyes...!! This post is for you Pappa !! I love you lots and lots...May God bless you a healthy and happy life ! Pre heat oven to gas mark 4 or 350 F.
Spray lightly with cooking spray or butter, cupcake cases or tray. I used silicon cupcake moulds. Leave a side. In one bowl place flours, salt, baking powder and bi soda. In another bowl beat butter, mawa peda and condensed milk until light and fluffy. Now add the flour mix and milk and beat until the mixture is smooth. 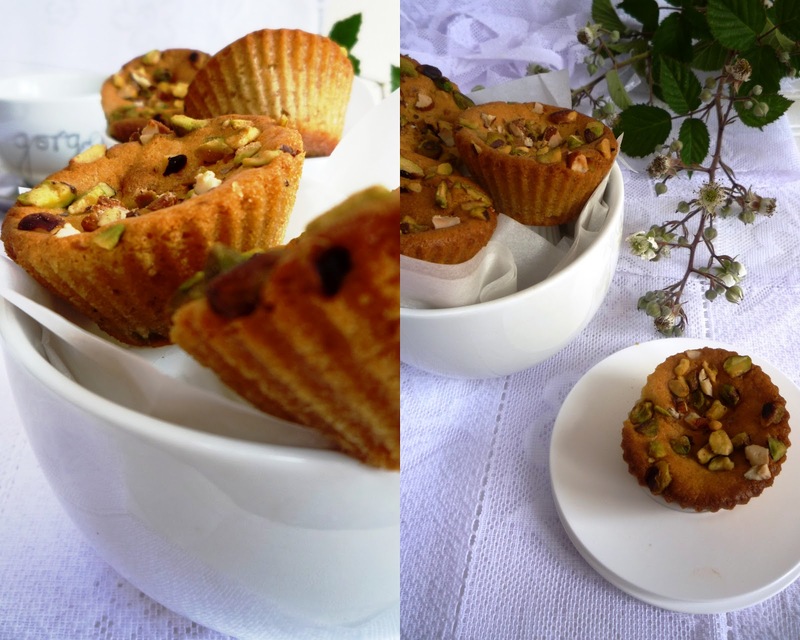 Divide evenly in prepared cupcake cases and top each case with crushed pistachio and almonds. Bake 20-22 minutes or light brown. Remove from the oven, let it cool on a wire rack . 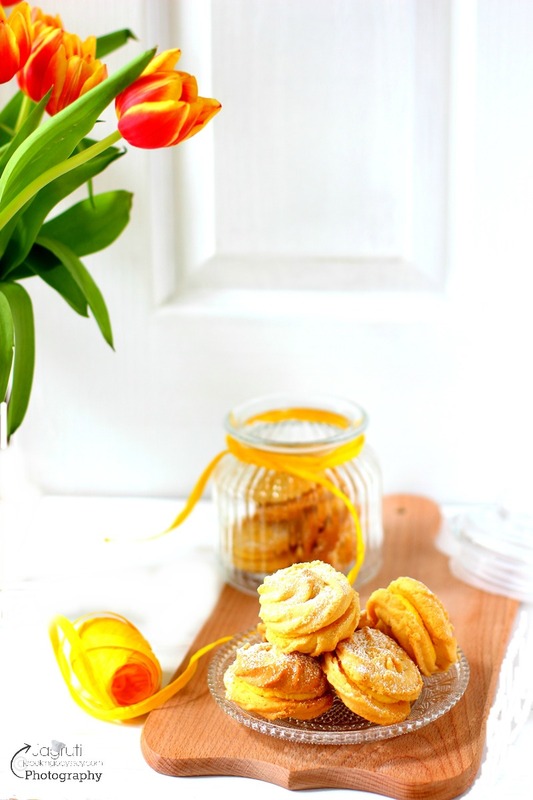 This recipe goes to event Know your Flours - Whole Wheat Flour hosted by me. 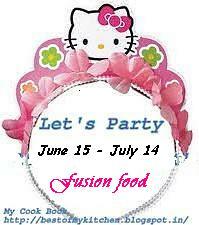 and Shama's guest event Celebrate-Street Party event series started by Jagruti. also Pragyan's guest host event Let's Party - Fusion Food , brainchild of Surbhi . lovely pics especially the ones in the tea cups.. Such a lovely post Jags.Wowo and your dad cooked and baked, such a pity you was not able to learn form him because of his accident. And the mawa cake looks so good and i love those lovley cups were you can bake in too. Happy father's day Jags, wat a super yummy muffins,lovely cups. wow wonderful tribute to your dad. Love the cup cake moulds. awesome tempting perfect and inviting cup cakes.Wish u too a very Happy Fathers day.